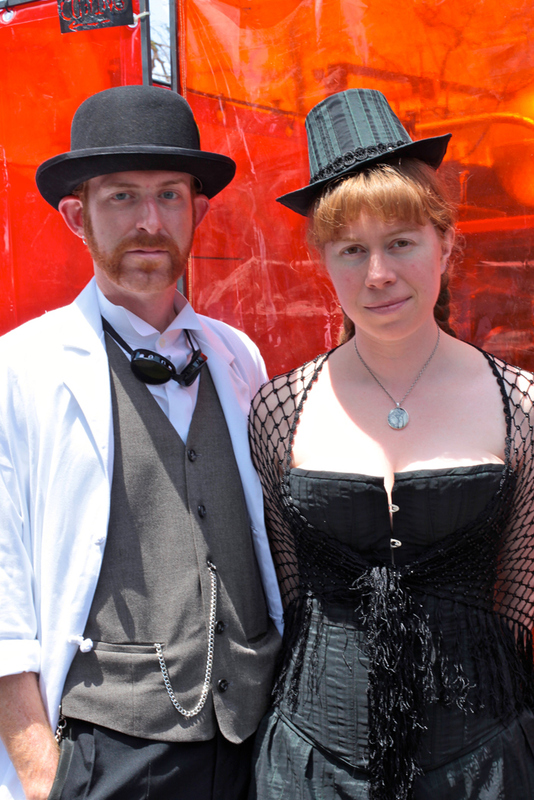 Jason: "Victorian mad scientist, it's an evolving costume." Andrea: "Victorian-style and the era and the creativity, freedom and general art." 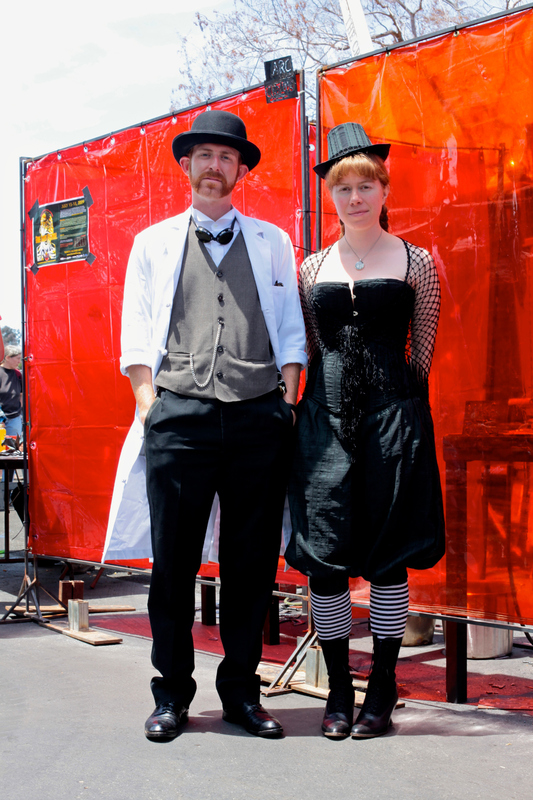 I didn't take many photos at Maker Faire, but wanted to take at least one of steam punks who looked like they put a bit of effort in. Jason and Andrea were exactly what I was looking for. Also! How adorable is her small hat? 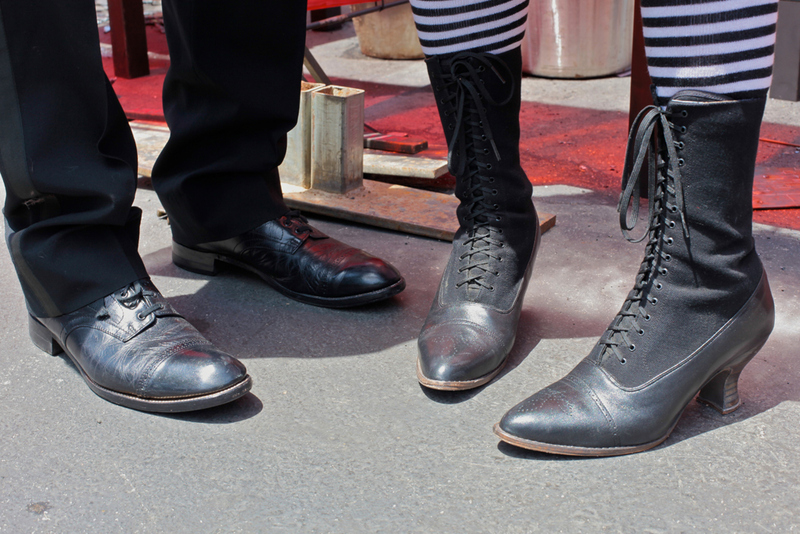 A look at their shoes. I really like her half fabric/half leather boots.